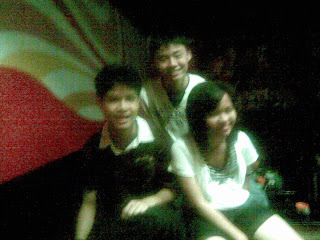 but at de evening, me, dylan,poh ling, carmen n poh ling's friend went 2 green box karaoke.. BUT, i juz dont noe chinese words!!! how am i gonna sing chinese song?! de highest score i get so far is about 600++ oni... cool rite? ?